"I was born to trot" electric blue T-shirt. 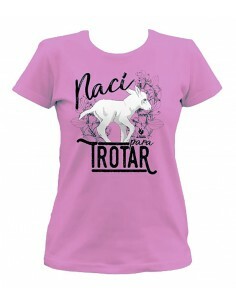 "I was born to trot" pink T-shirt for woman. "I was born to trot" sky blue T-shirt. "I was born to trot" red T-shirt. 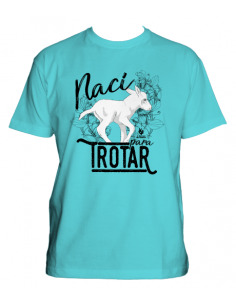 "I was born to trot" electric blue T-shirt for women. "I was born to trot" sky blue T-shirt for women.